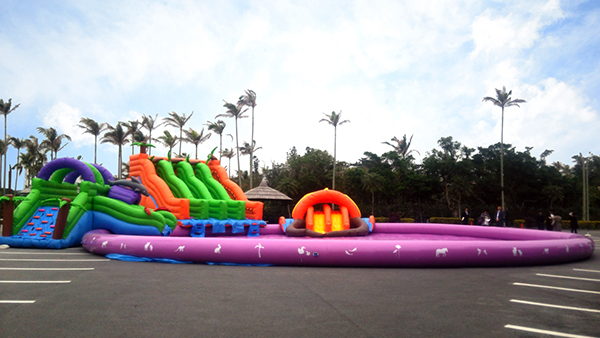 Southeast Botanical Gardens announces the opening of its newest attraction: Okinawa's first, extra large inflatable Air Pool from Saturday, July 25. With a diameter of 20 meters and a depth of just 40 centimeters, the pool is big enough to park three large cars inside it, yet shallow enough to facilitate safe play for small children. 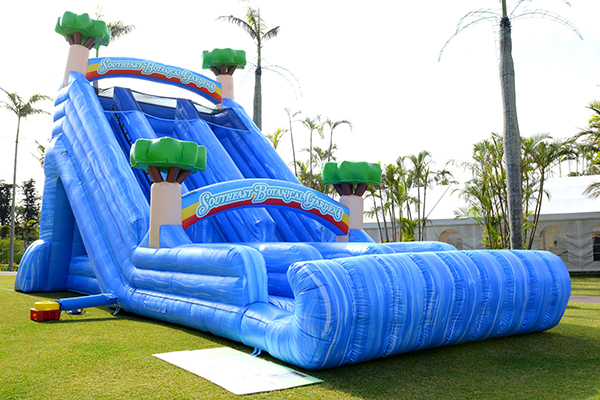 An optional bouncy inflatable slide adds to the summer fun. Air Pool use is included in the price of park admission.